Can the new trend at Vogue to feature African-American women on the cover be attributed to the Michelle Obama effect? 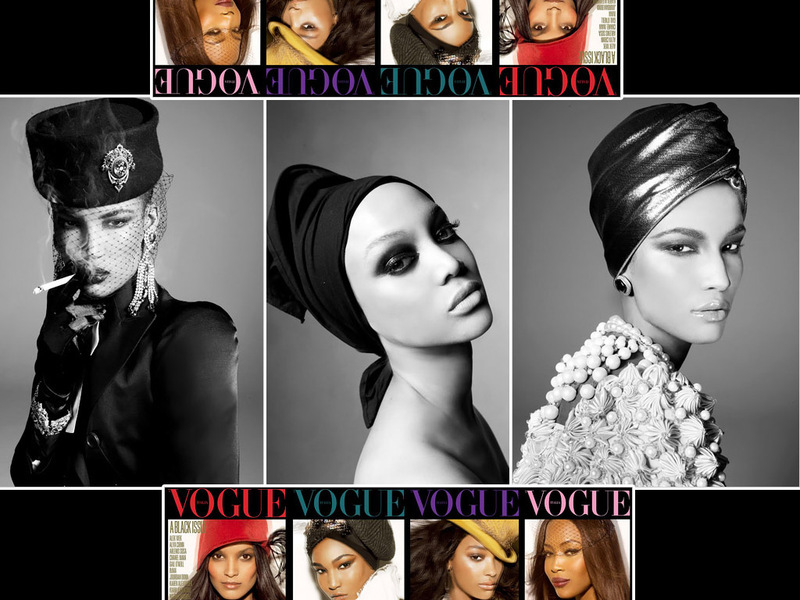 Last year Vogue Italia featured an entire issue with Black models photographed by famed photographer Steven Meisel. The May cover of Vogue is special because it features models instead of celebrities. This year's May issue, shot by Steven Meisel, is extra special because it marks the third month in a row that a woman of color appears on the cover (Beyoncé appeared on April's cover, Michelle Obama appeared on March's cover). 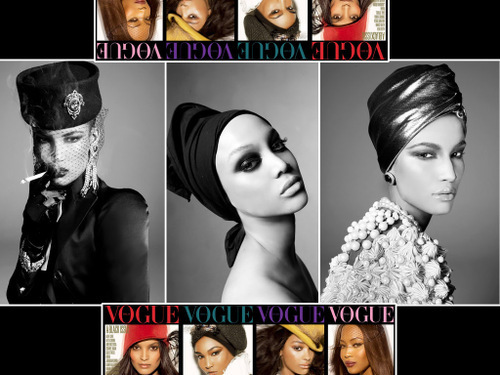 Vogue Italia is releasing a special July issue featuring only Black models and shot by legendary photographer Steven Meisel. The issue will showcase about 100 pages featuring top models like Naomi Campbell, Tyra Banks, Liya Kebede ,Chanel Iman,Jourdan Dunn, Alek Wek, Pat Cleveland and ANTM participant Toccara Jones. American Vogue will address the subject of the lack of Black models in the fashion industry in an upcoming issue. We think this Italian Vogue issue is groundbreaking and a great step for the industry. The Vogue Italia issue is only the beginning because each season Black models and models of color are becoming less visible on the runway. The other eleven months of the Vogue year will see a lack of Black models or diversity in their issues or covers. O.K., so fashion ain’t deep. It looks into a mirror and sees ... itself. The irony in fashion is that it loves change but it can’t actually change anything. It can only reflect a change in the air. But what changes fashion? What would finally move American designers to include more black models on their runways? That 30 percent of the country is nonwhite? That black women spend $20 billion a year on clothes?